Over 3.5 billion or roughly half the population of the world is connected to the Internet. By the year 2020, about 75 percent of the world will access the Internet through mobile devices, mainly smartphones. Statistics reveal: YouTube has over a billion users — almost one-third of all people on the Internet — and everyday people watch hundreds of millions of hours on YouTube and generate billions of views. “YouTube overall, and even YouTube on mobile alone reaches more 18-34 and 18-49 year-olds than any cable network in the US. More than half of YouTube views come from mobile devices. YouTube has launched local versions in more than 88 countries. You can navigate YouTube in a total of 76 different languages (covering 95 percent of the Internet population),” says a Google press release. The figures are indicative that videos have the highest reach as far as any content is concerned. Videos can be transported easily: A small data card is sufficient to pack in several videos. Anyone with a mobile handset and a good Internet connection can access YouTube anywhere in the world. Videos provide immediate coverage. We have all watched videos of plane crashes and natural disasters as they occur on YouTube. TV channels depend upon amateur videos to provide better coverage. Products marketed with videos on YouTube appeal to audiences across your national borders and help your business expand. 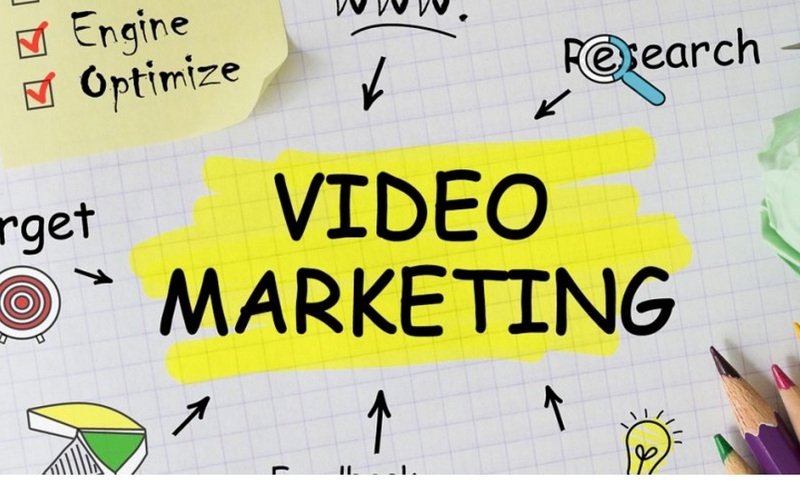 Anyone looking at videos for marketing should remember that videos offer more creativity. You can select any location, music, and character to create the video. Adding speech and text is simpler. 6- Making money with videos that cut across boundaries. A single video can be dubbed in various languages, thus saving costs in producing different content suited for diverse audiences. You can play with sights, sounds, colors and every conceivable element on Earth while making videos that appeal to classes or masses. Thus, the video offers different ways to make money by using YouTube. The number of videos that go viral every year speaks well about the popularity of videos. The phrase ‘going viral’ itself signifies that viewership of that particular video has crossed at least the 100,000 mark, if not more. Most videos that go viral on the Internet are shared via Facebook and other social networking/ microblogging sites. Again, this indicates, viewers, pay lesser attention to detail and production quality in comparison to content. Short advertising video clips – of 10 to 30 seconds duration- can be effectively inserted between larger ones such as a movie. YouTube already does so, using short commercials while playing a movie, sports fixture or your favorite music album. These videos are better remembered and accepted since viewers are enjoying what they watch. We all have heard about entire advertising campaigns being canceled because the ad contained something objectionable. What exactly can be deemed ‘objectionable’ is anyone’s guess. Some content may hurt religious or communal sentiments, others might have an excess of the carnal display. Companies using creative videos on YouTube and other delivery channels to make money can easily replace any content found objectionable. Any purchase or transaction occurs when a buyer identifies a product or service. Videos are the best and only known technique to get a buyer identify with the product or service depicted. Viewers identify with the character in a video and not the product. This helps carve a niche for the product. Videos are not dictated by time. In fact, they mellow with time and become more attractive. The vintage charm of videos works wonders when compared to newer ones. A large number of commercials today depict scenarios of yesteryears to identify with superior quality and tradition. Stills and pictures cannot aptly depict a mood or emotion vital for the success of a brand. Videos fill this need perfectly well. With videos you can blend real-life humans with animations- a craft perfected after the runaway success of the movie, Space Jam. Such videos attract people of all ages. There are several other distinct benefits of using creative videos for YouTube to make money. Cameras are everywhere: from entrances of homes to military installations, on your mobile and at a traffic junction. Procuring video for creative purposes to make money is much easier now than anytime before in history. And several sources offer free videos for the thrill of appearing in a commercial or marketing a venue or attraction. Websites like YouTube as well as those of news channels open up several avenues to make money. Age is no bar and nor are specific qualifications required. Video editing software can be downloaded on a fairly good quality smartphone or laptop and also accessed through cyber cafes. You can take clippings from old, black-white videos of yesteryears and use them with latest ones. This creative style propagated through YouTube, helps youngsters to understand the difference between the world as they see it and things as they were in the past. YouTube has a like button. This means anyone who likes the video can express their opinion at the push of a button. YouTube also allows registered users to comment on videos. These features allow marketing companies to assess the impact of their advertisement or videos almost precisely. Negative comments help improve mistakes if any. Videos do not require copywriting and astute use of words and grammar; simple colloquial or street language will suffice. A common language is better understood and allows companies and individuals to express themselves better to an audience. Nobody needs to reach out for a dictionary while watching videos. A nondescript place can appear like paradise when shown in a video. A noisy, smelly fish market looks more attractive in a video while an old mansion can appear haunted adding to the thrill. Special effects can be added if needed. Professional editing works wonders for creative videos and helps make money. Creative videos on YouTube can make money if they allow viewers to ‘feel’ things and places. Ads of soft-drinks where a chilled glass or bottle shows water condensation dripping is known to tempt the thirsty. The sound of a sizzling omelet or sausage stirs appetite. Allowing a viewer to ‘feel’ a product is possible through videos only. Videos can be easily distributed over the Internet, smartphones and social media applications. Thus, distribution costs are brought down vastly. Creative videos do not require clearances from sensors: YouTube allows any acceptable content to be uploaded. Do let us know what you think about above-mentioned ways to convince anyone about online marketing.